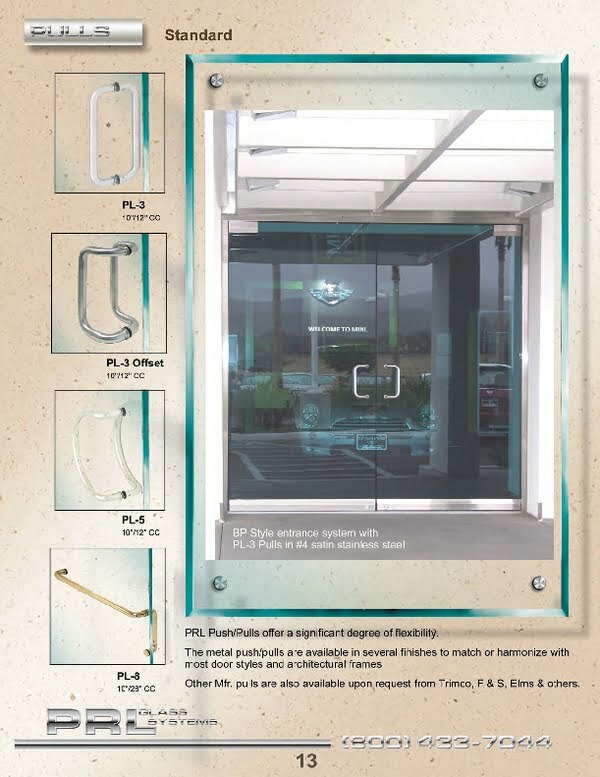 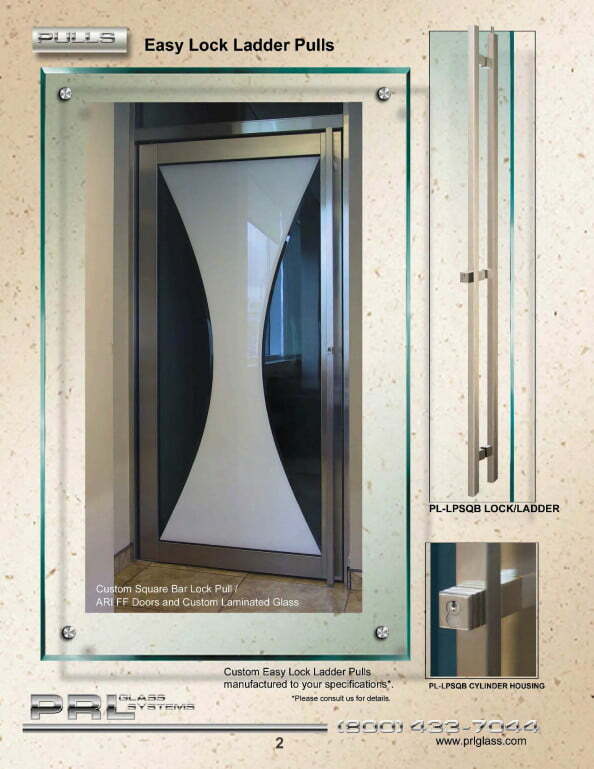 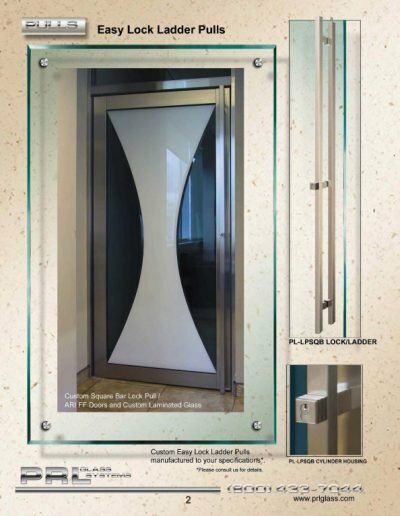 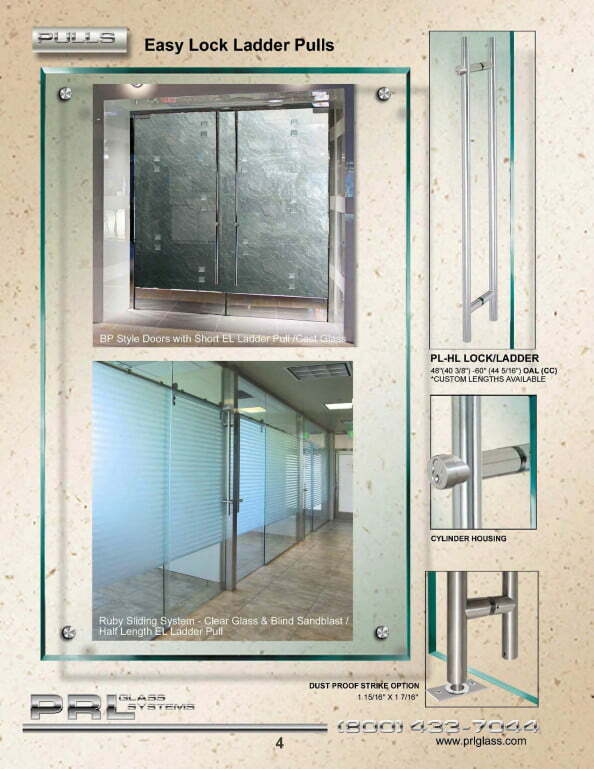 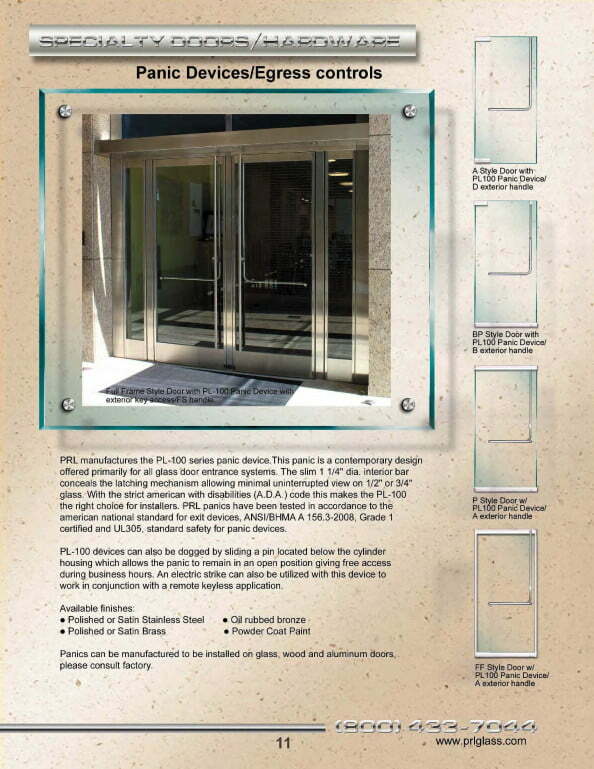 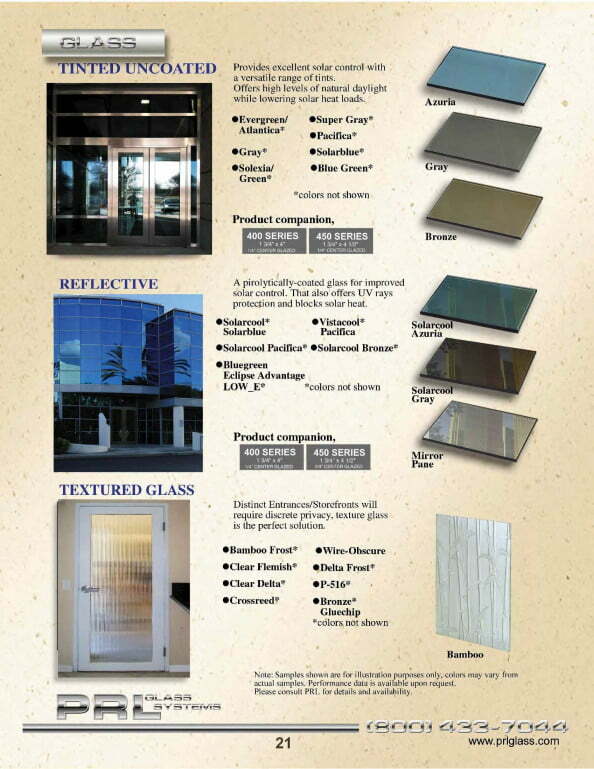 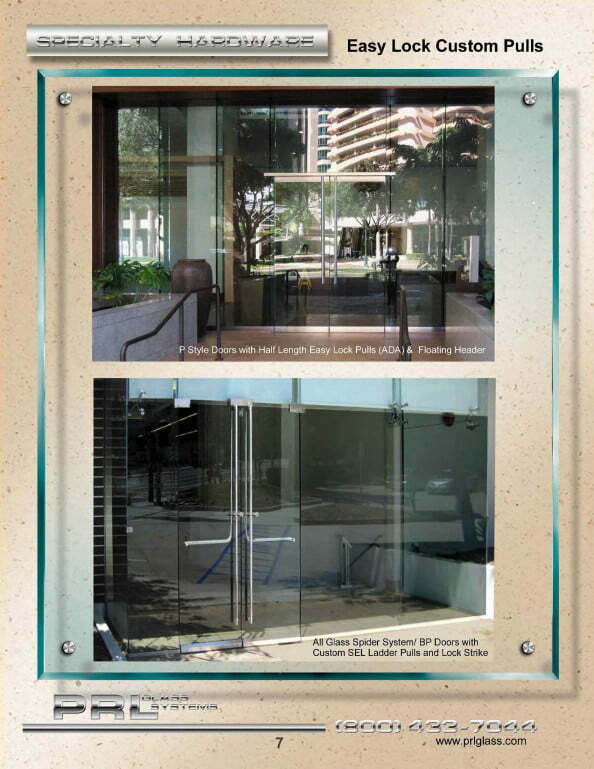 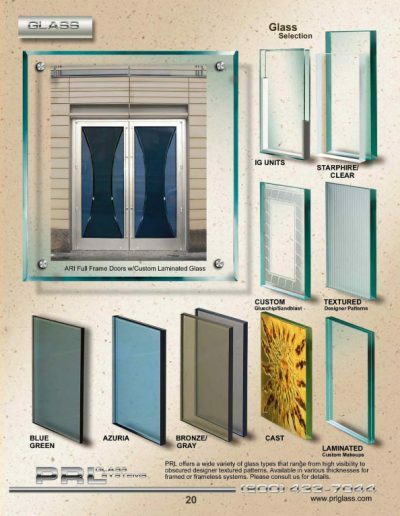 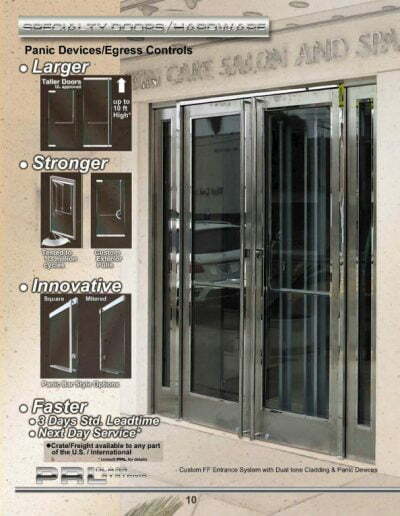 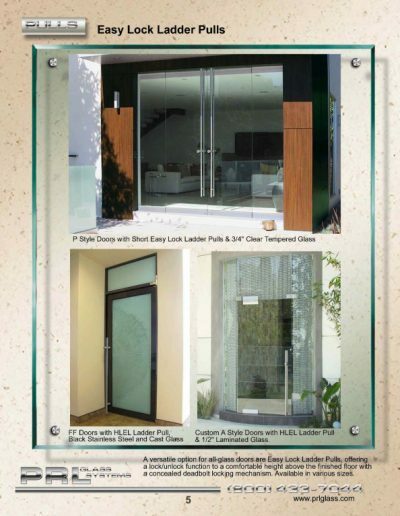 PRL Glass System’s standard commercial door handles such as our PL-3, PL-5, PL-8 and Ladder-style pulls offer a significant degree of design flexibility to complement our tempered glass entrance doors and architectural frame systems. 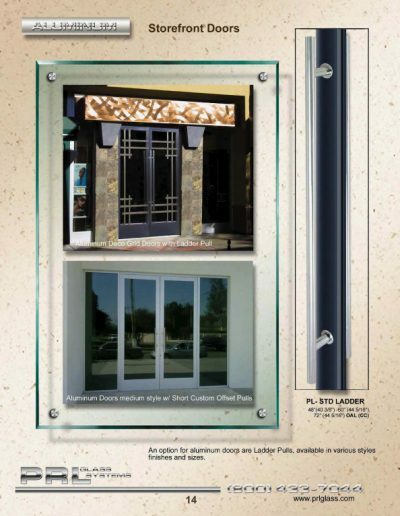 The PRL handle most frequently specified on All Glass Commercial Doors is our PL-3, 1" diameter straight "D" pull, available in 10", 12" and 18" center to center. 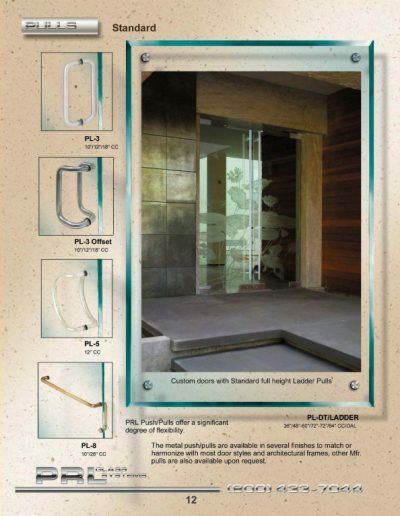 The PL-3 is also available in an offset style, the PL-3OS. 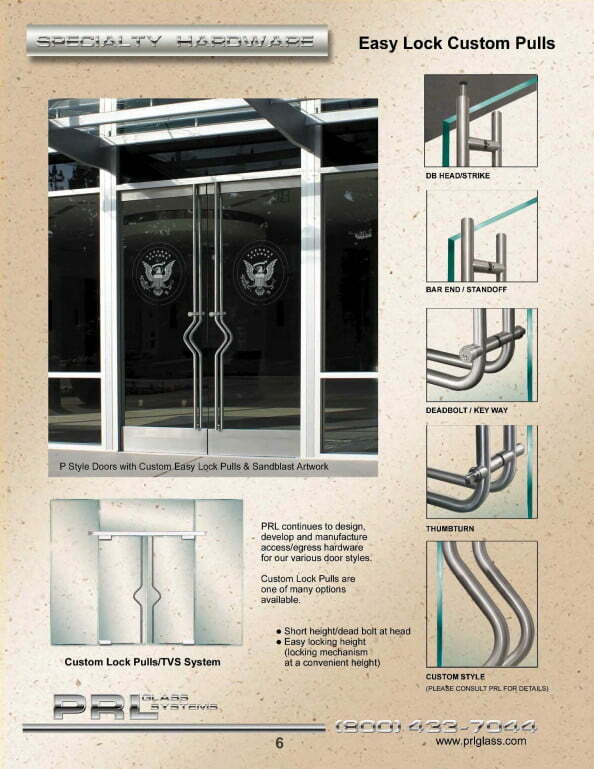 The PL-8 is similar to the PL-3 but is a Push/Pull handle combination. 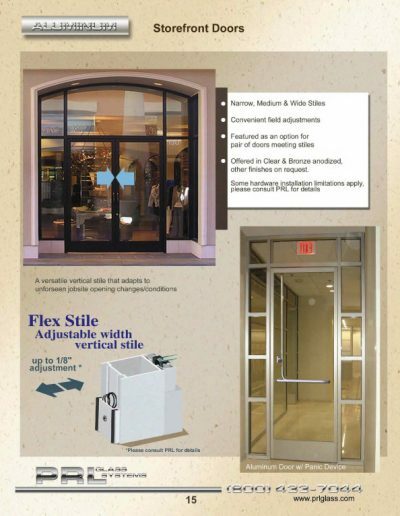 The "pull side" is a straight or offset vertical handle with a horizontal bar on the "push side" of the door. The PL-8 Push/Pull handle combination is available in 10" x 28" or 12" x 28". 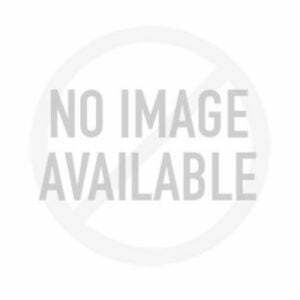 Another pull that we stock is the PL-5 "C" commercial door handle. 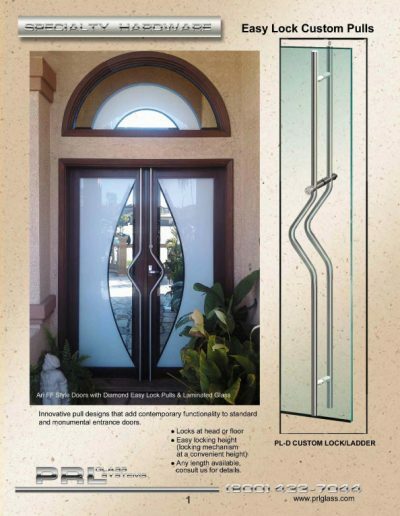 It is a circular offset pull that has what we call a "half-moon" shape and comes in 12" center to center. 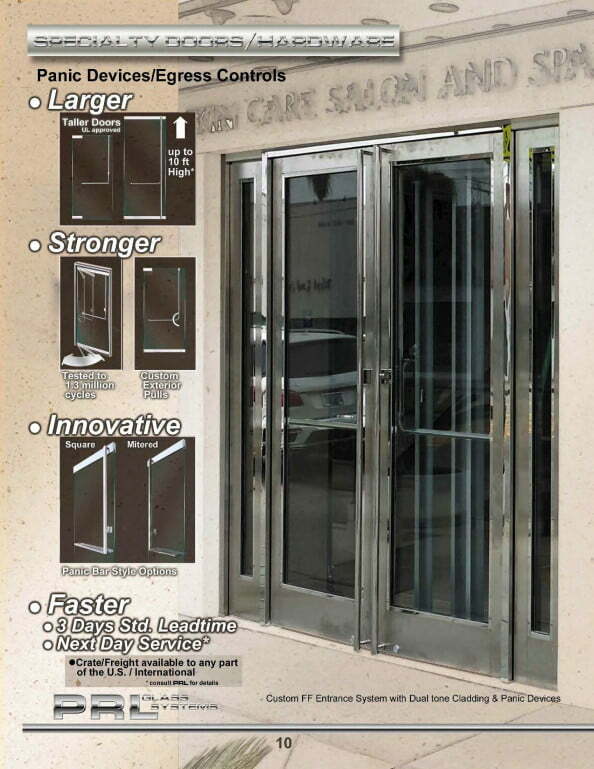 This elegant handle with its offset curve style will enhance the look of any commercial door. 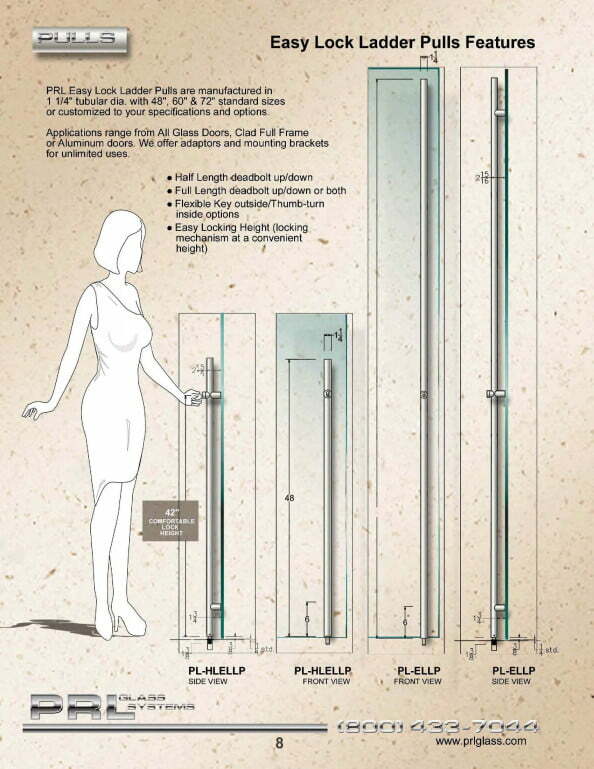 Very popular on our All Commercial Glass Doors for designers looking for a more dynamic commercial door handle appearance is our PL-Ladder style pull. 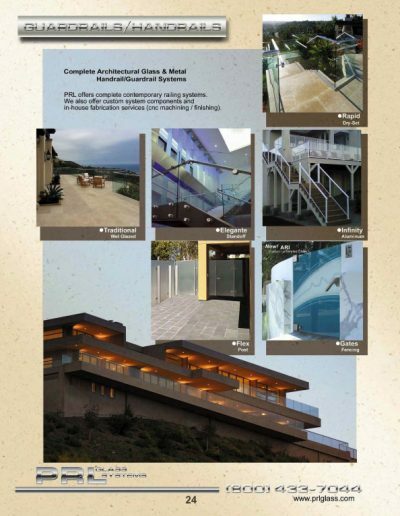 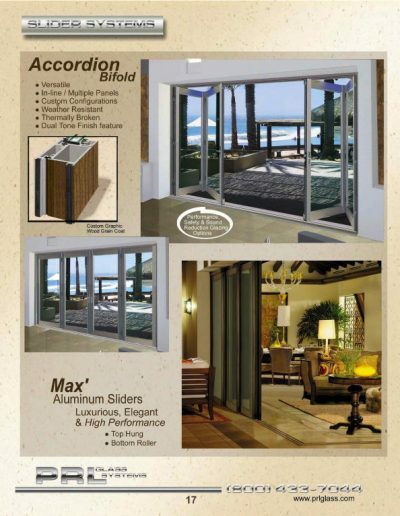 It is has become a favorite for architects and builders alike. 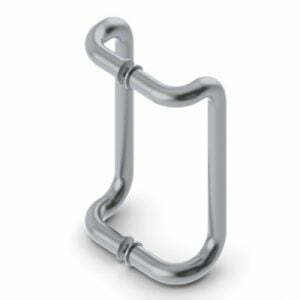 It is a 1-1/4″ diameter straight tubular pull. It is available in sizes ranging in 12″ increments from 24″ over-all to 84″ tall over-all. 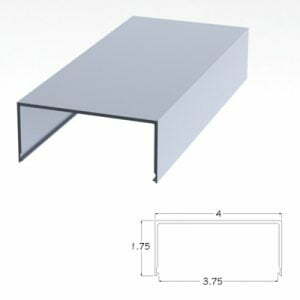 Larger lengths are available on a per order basis. Two standoffs are standard but three may be used on pulls over 72″ tall. 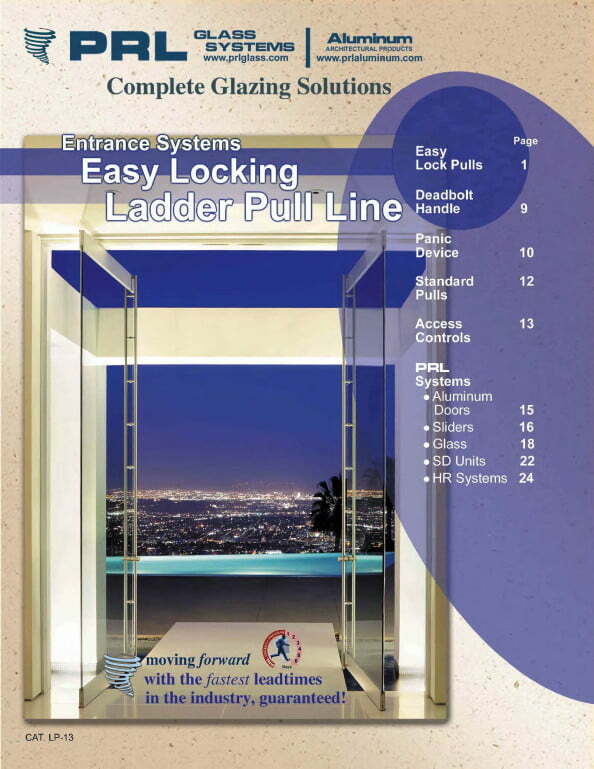 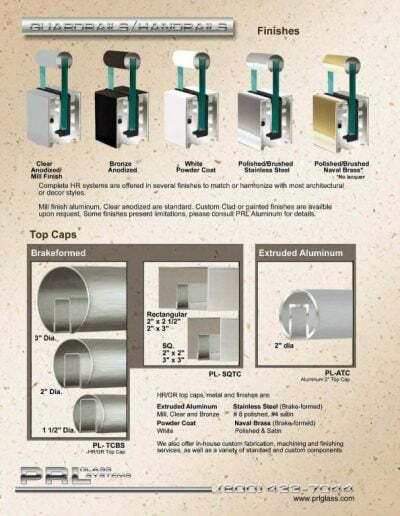 Ladder Pulls are stocked in stainless steel and clear and dark bronze anodized. Other finishes such as brass can be made to order. 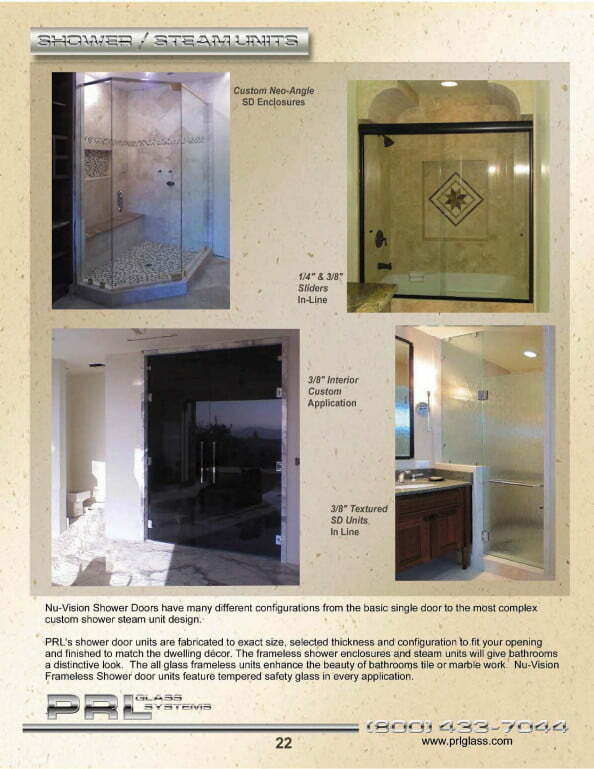 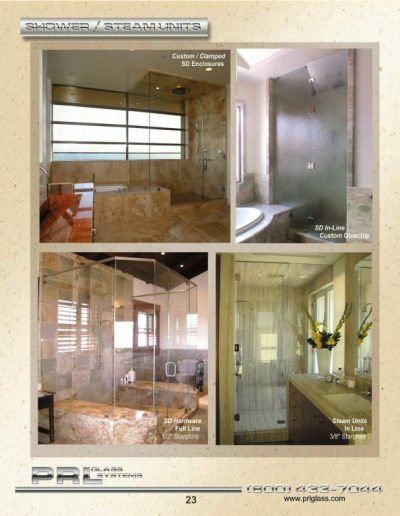 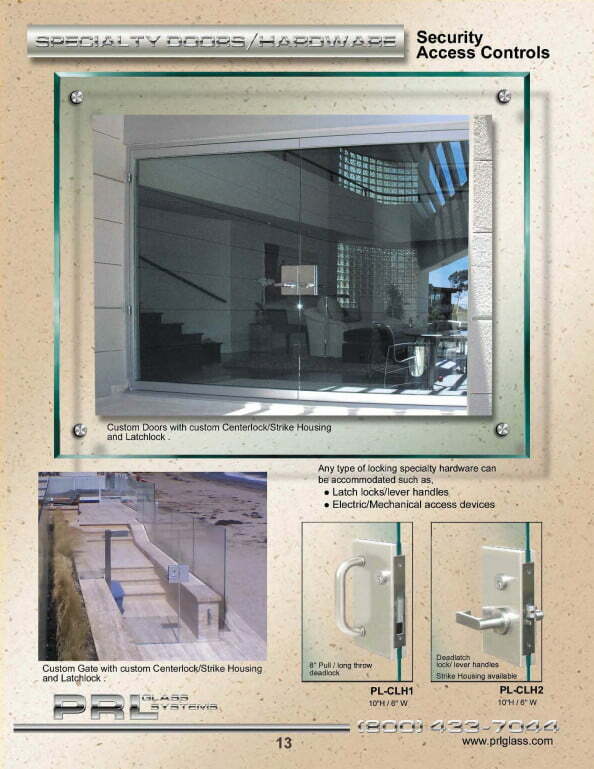 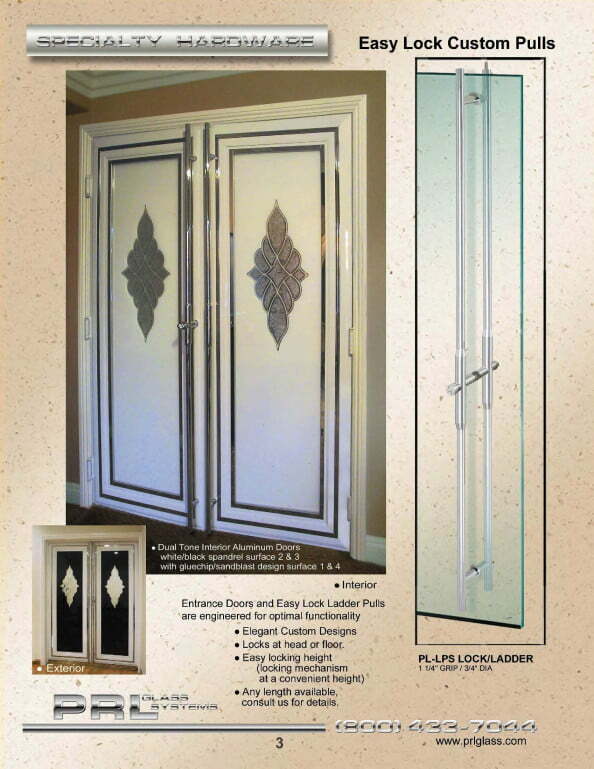 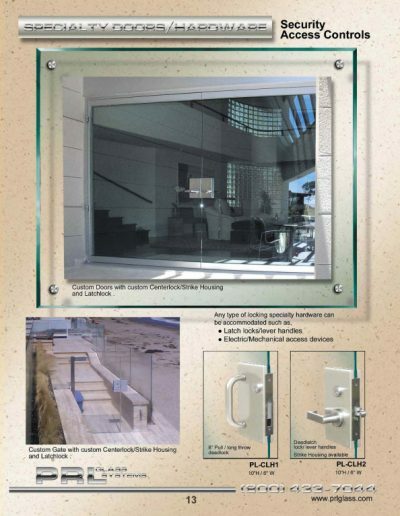 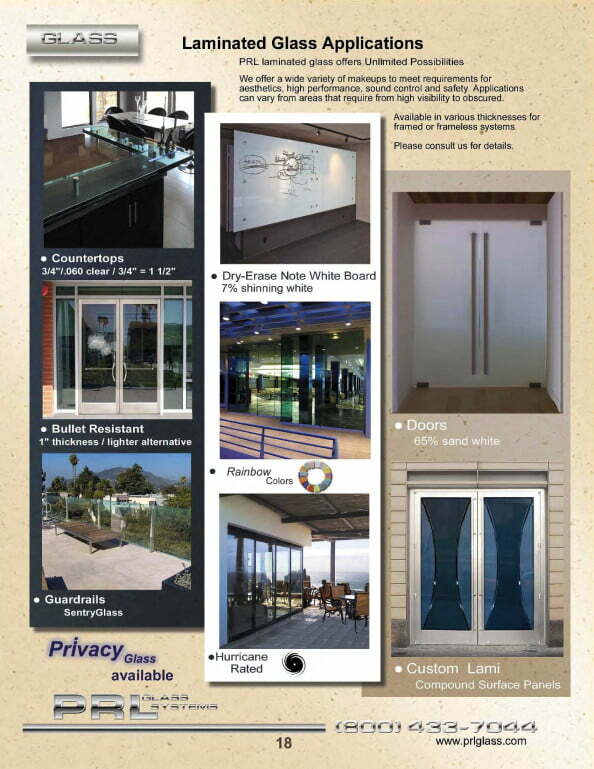 All of our door handles are sold as back to back sets for 1/2″ glass unless otherwise specified. 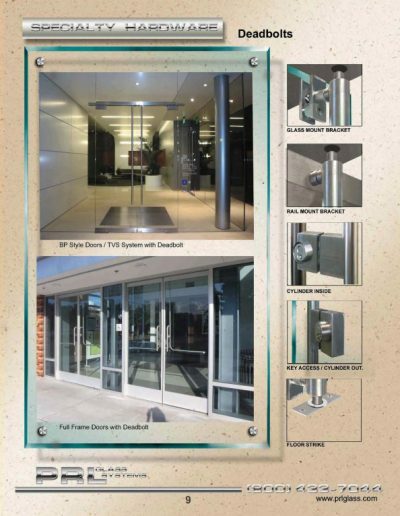 Our mission is to simplify your purchasing by offering complete hardware all from one source, Simply supply us your commercial custom, dual tone or specialty door handle and pull specifications and let us take care of the rest Toll Free 800-433-7044. Samson Hydraulic Door Patch Closer is a hit!!! 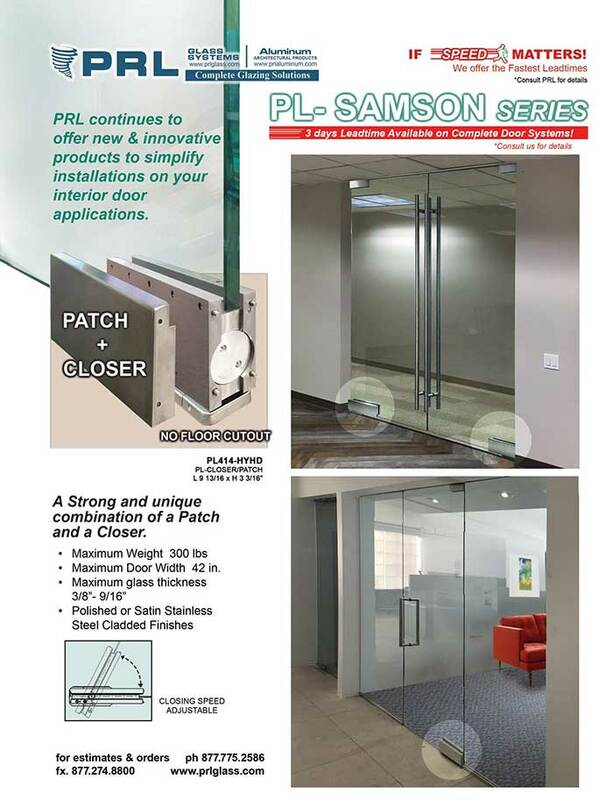 The ever-growing popularity of our samson hydraulic door patch closer has been great hit for use on PRL Frameless Glass Doors. 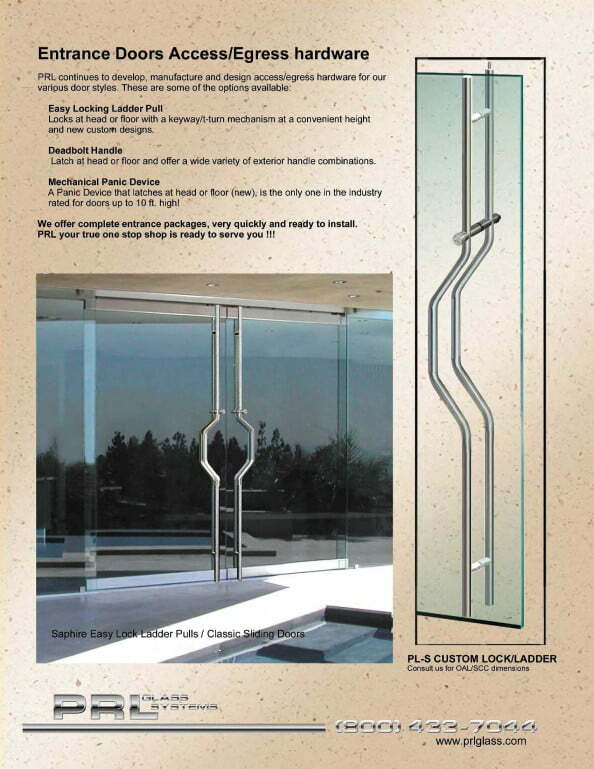 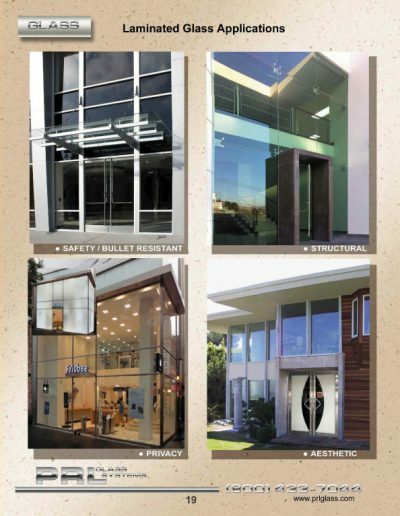 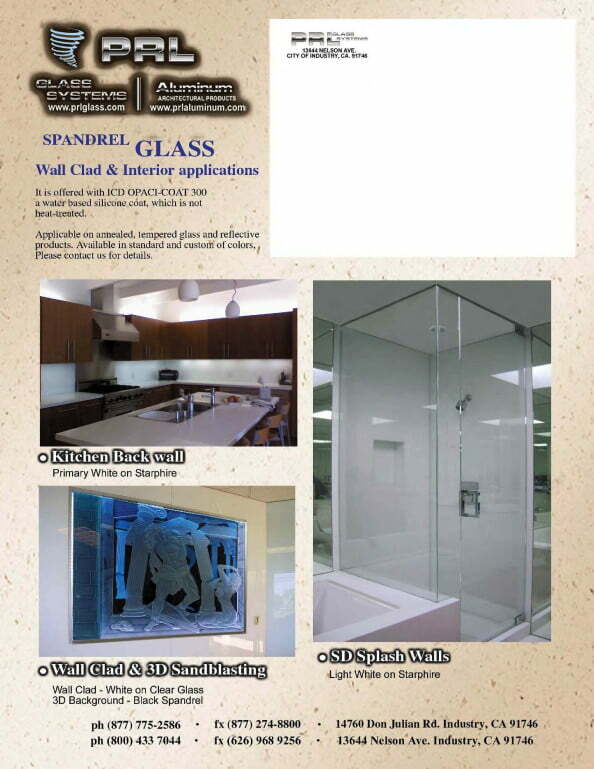 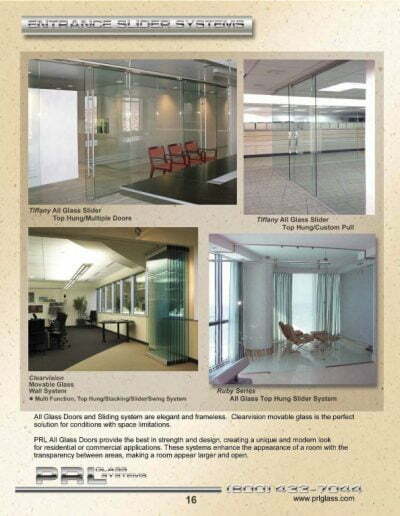 This is just another example of PRL’s commitment to provide innovative, economical solutions for our customer’s interior glazing applications.